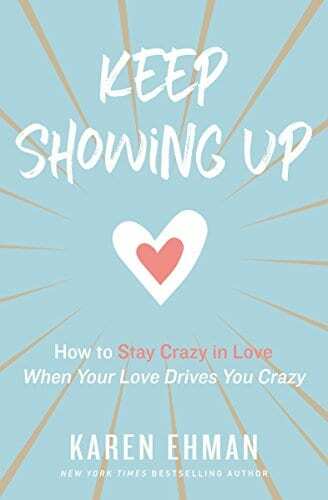 Today I’m welcoming my amazing, crazy-talented, rock star assistant, Lindsey Feldpausch, as a regular contributor to #LoveYourLifeFriday! 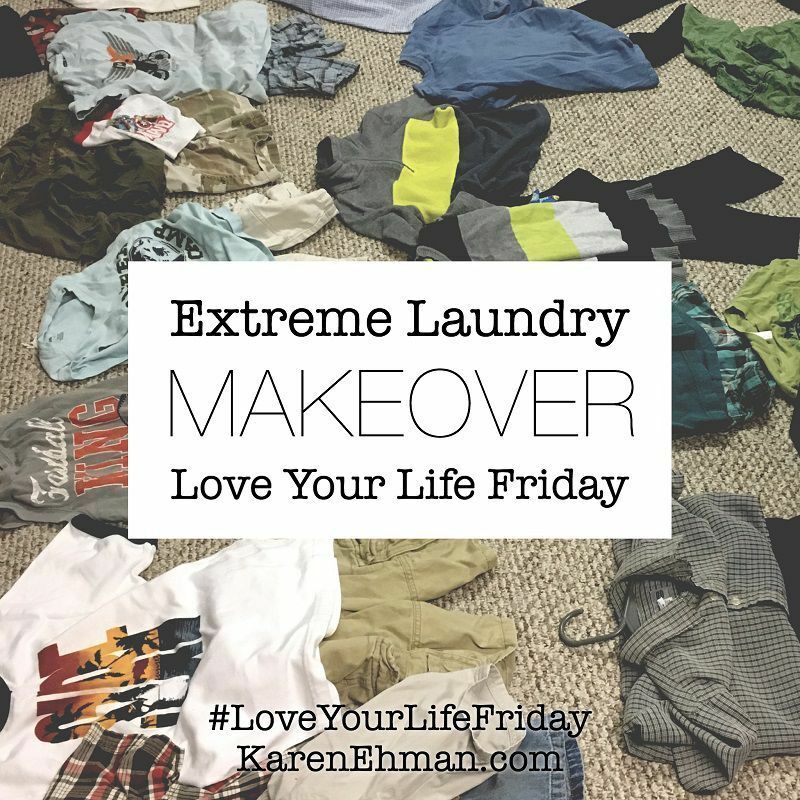 She has an Extreme Laundry Makeover to share with you! This laundry system is for those who are done with the crazy. This probably isn’t going to work if you are slightly interested in solving your laundry woes. This is for those who want all-out freedom from frenzied mornings and frantic rifling through piles when it was time to go ten minutes ago. 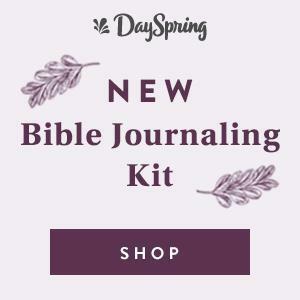 I am not kidding, this has brought SO much peace to my life and I want to share this system with you! Again, this isn’t for the faint at heart, but if you commit to it, you will feel the weight of ten laundry piles of clothes lifted off your shoulders. We are a family of 6. It is me, my husband, 3 daughters and 1 son. My kids are ages 5, 7, 9, 11. I was running laundry whenever I could and fending off large piles stacking up. I was folding things some times and other times just hoping it made it to their drawers. I have been a full time stay-at-home mom, a homeschool mom, but also, I am now in a season of working part-time and being a public school mom. This system will work in any of these scenarios. When my kids have a mismatched outfit – The shirt is clean, but the pants are in the dirty laundry. My kids make crazy clothing choices (not weather appropriate) when we were supposed to leave 10 minutes ago. When one of my sweet kiddos can never find her socks. When I can’t even figure out which child needed the new leggings and what color I should buy. This laundry system has solved all of these issues. You will need to invest 1-3 days up front to purge each person’s clothing situation. Step 2: Find an open space in your home where you can gather ALL of everyone’s clothes. Split up the areas of this room for different family member’s items. Put their 18 gallon tote in each family member’s area of the room. This tote will be for clothes that will fit within the year OR are for out of season clothes. More on this later. Step 4: Toss out items that are stained, ripped, or stretched out. Designate a box for donation. 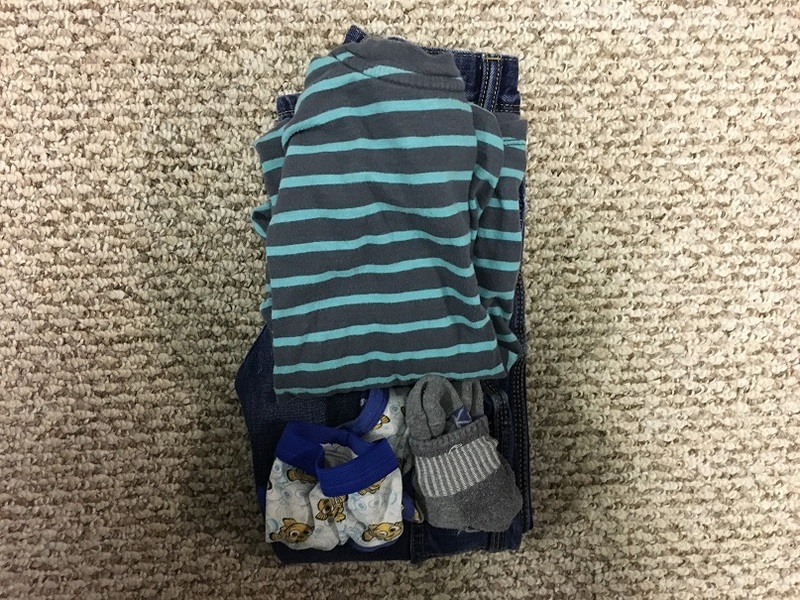 Anything that is in good shape but doesn’t fit, should go into that box, unless you want to use that clothing item as a hand-me-down for another child. If you do, then put that item in the proper child’s tote. 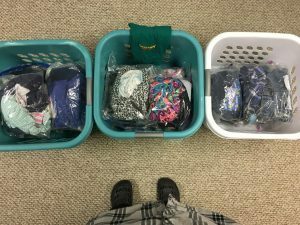 Step 5: Count the outfits! This is key. This all depends on how much time a day you want to spend on laundry. Less outfits equals less time and less confusion. This is the secret ingredient to all of this working. This was the hardest step for me. We decided as a family that each child would get 8 regular outfits for the current season, 3 church outfits, 1 fancy outfit (for wedding or holidays) and 2 pairs of pjs. NOTE: We’ve tried 3 regular outfits, 5 regular outfits, and 12 regular outfits per person during different seasons and 8 outfits seems to be perfect for us right now. But we have experimented! Step 7: Make sure each kid gets in the habit of doing this on their own. They will begin to see which outfits go together and as time passes, they get quicker and quicker. My kids like to have a little competition to see who can finish their packs the fastest and then right when they are about to erupt in a squabble over who finished first, I tell them, “go help someone who isn’t done or help me fold towels.” Problem solved. Step 8: Store away all the out of season clothes or clothes that will fit soon. 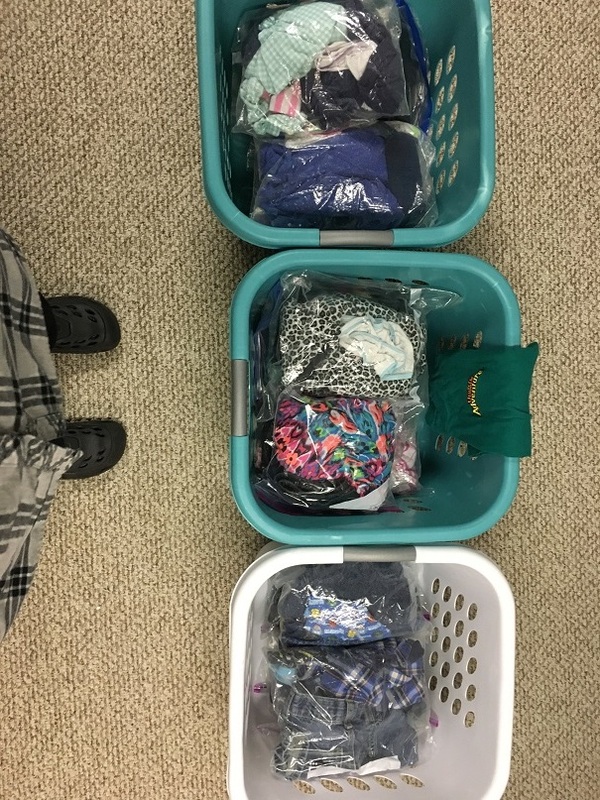 Your other basket or 18 gallon tote (whatever you are using) is for them to keep up in their room for dirty laundry and to use in transporting their finished packs. Step 9: They carry their baskets filled with finished outfits and put them in their drawer. 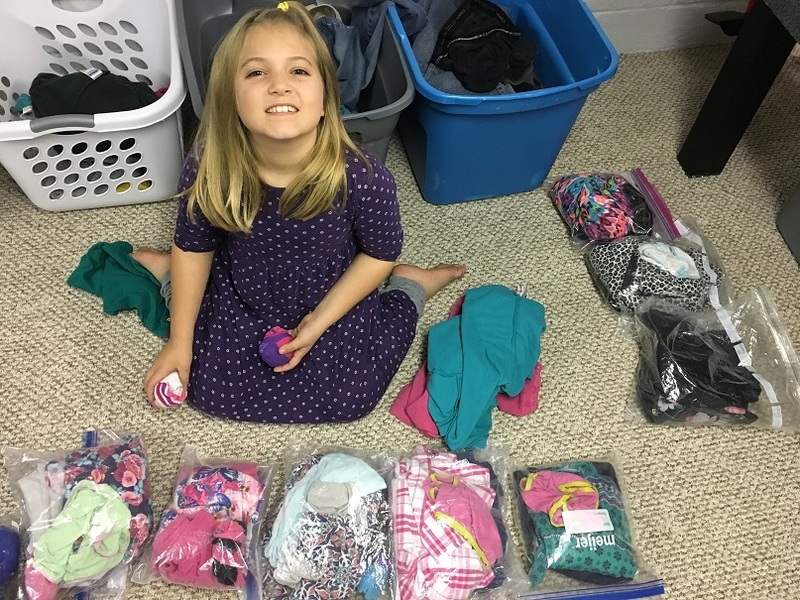 Step 10: When it is morning time, they can choose whatever pack they want because everything they need is in the pack and is weather appropriate. (We purposely have one short-sleeve shirt pack with a pullover fleece if we have a warm winter day and vice versa for summer.) I have the kids just throw the empty plastic bags in their dirty laundry basket. When they bring their dirty laundry downstairs to sort, we collect the bags in a mesh bag that we hang on the wall. I am 100% certain someone could do this SO MUCH cuter than I am doing, but this is the basic idea. When our kids get new clothing items for their birthday or Christmas, we usually know exactly what to swap out. When I see holes in something, I make a note and know exactly what kind of item needs to be replaced. 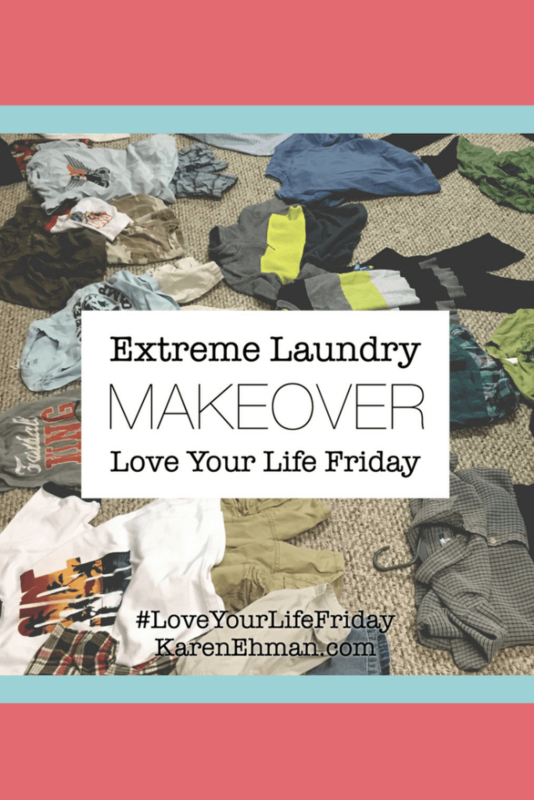 You won’t get in a laundry disaster that seems insurmountable. Here’s the thing, you will get behind on laundry again. It happens all the time, but when you all own less clothes, you are forced to keep up on it. You have to. So you do. And when you do get behind, even if everyone’s clothes became dirty at the same time, you really wouldn’t be in that bad of shape because at least you know that everyone has matching outfits in there somewhere. Run some loads, start making some packs and always keep that donate basket close by. You’ll be out of the cotton jungle before you know it! 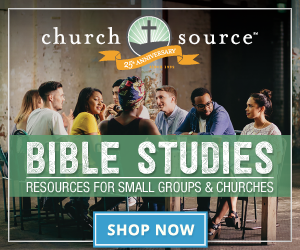 Lindsey Feldpausch is the Content Coordinator and Ministry Manager for Proverbs 31 Ministries’ author & speaker Karen Ehman and the reviewer for family products & services at TheBetterMom.com. She is a spokeswoman for Jonathan Park Audio Adventures and social media manager at The Glorious Table. 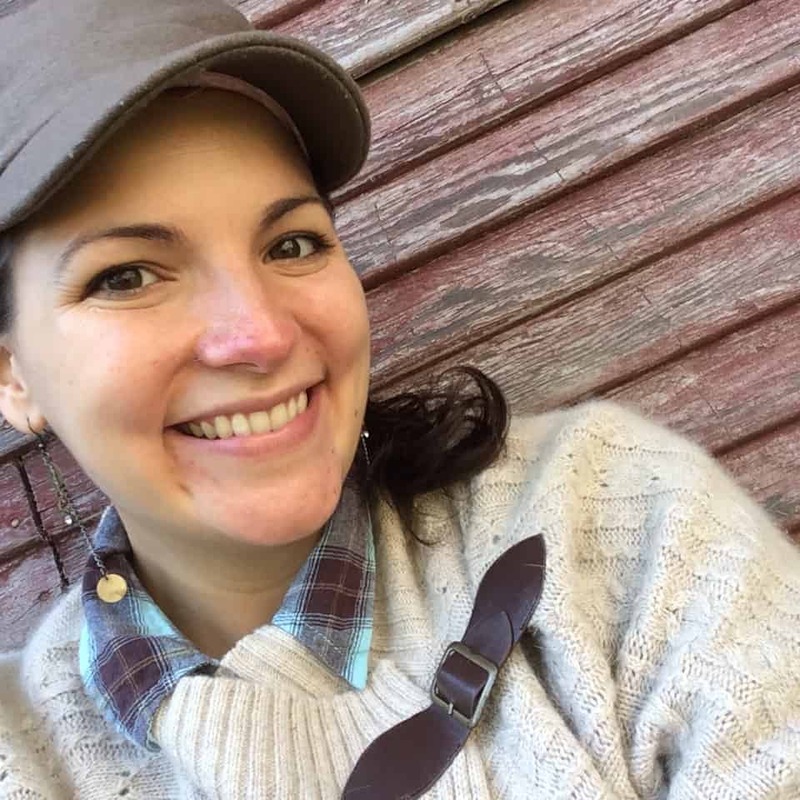 Her family lives just west of Grand Rapids, Michigan where her husband is a youth pastor and worship leader. I wish this intel had come along 8 years ago when I was drowning under the laundry pile! My two boys are now 13 and 15 and guess what? They are responsible for doing their own laundry now! Sounds harsh but it makes them independent and responsible for their clothes. Which has lessened my loads tremendously! We have done the clothing purge (although I feel another one coming on- this is inspiring!) but now when they are low on clothes, they can only blame themselves! For our purposes (and because teen boys can smell incredibly bad and need to change twice in one day sometimes!) we have 16 of everything (socks, underwear, shirts) and 8 – 10 bottoms (shorts, sweatpants) during any given season. Thanks for this entry! Loved it!! While I appreciate the system that you came up with that seems to be working for you, my issue is that I am one who is not fond of wrinkles. However, I do use plastic bags when packing suitcases to go away. The plastic bags do help prevent and minimize wrinkles. 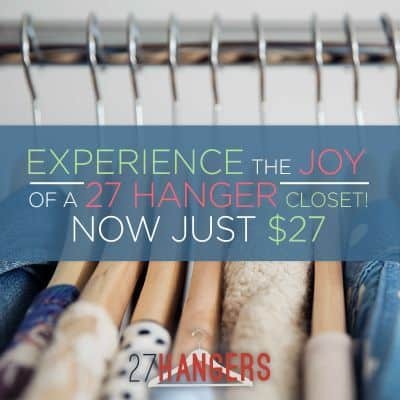 I hang outfits together (as I iron clothing, if wrinkled), including hanging the socks (can be clipped on with an office type clip or something similar from a dollar store) for younger children) over the shirt or pants. Depending on the time of year, it is shirt, shorts/long pants, hoodie/fleece pullover/jacket and socks. Thanks for sharing. 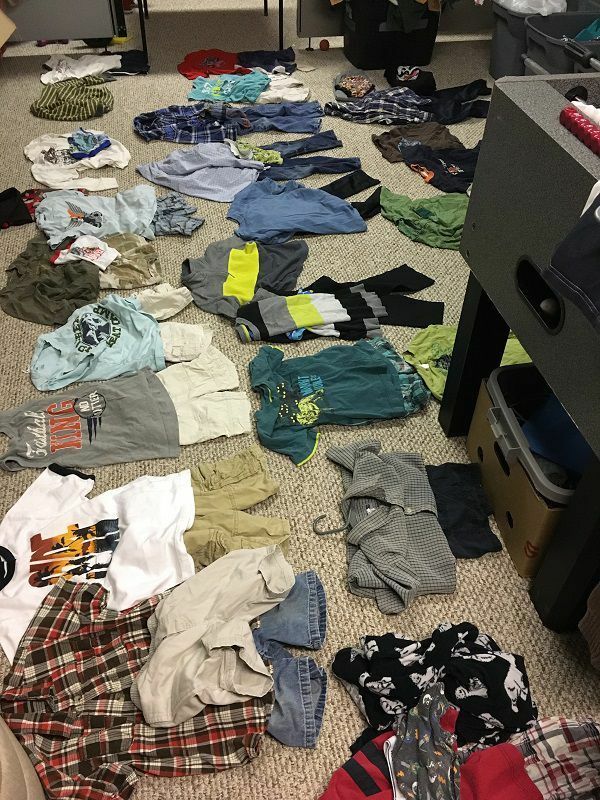 My family of 6 is constantly behind on laundry and we have 90% of the youngests kids, girls 8 and 9 in our room! So the master looks like it threw up clothes. What a great system!! 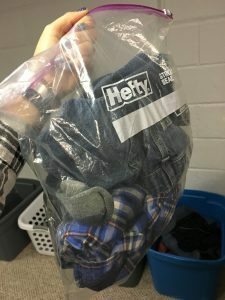 Laundry is a huge thing in my house as I have a family of 13 – 10 children and my husband and I. I have yet to figure out a system that would work tackle this huge task. I look forward to trying your system. Thank you for sharing it with us.